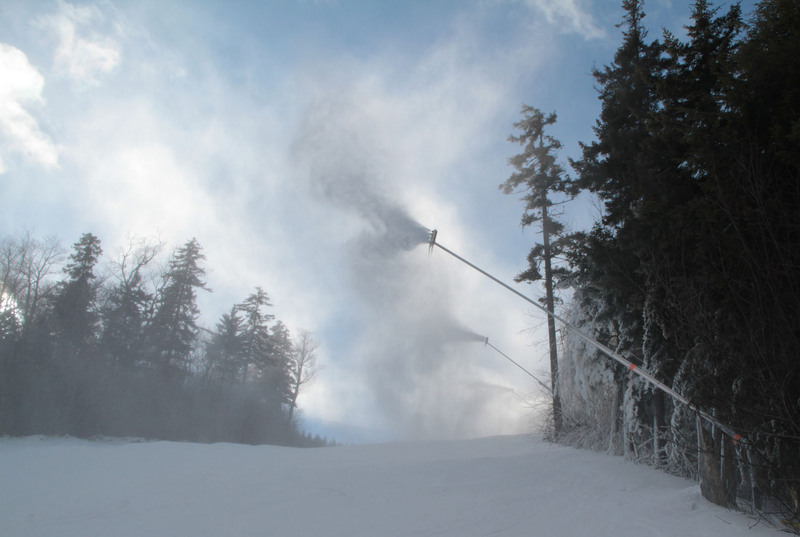 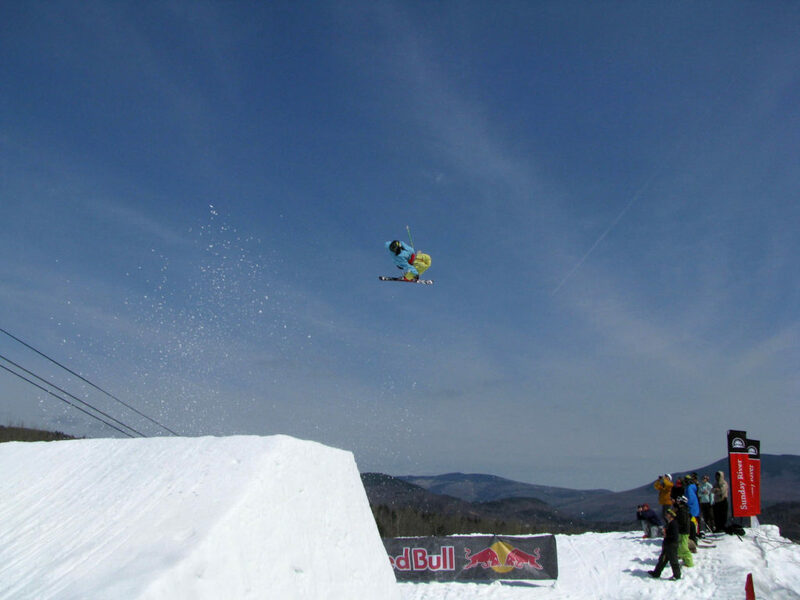 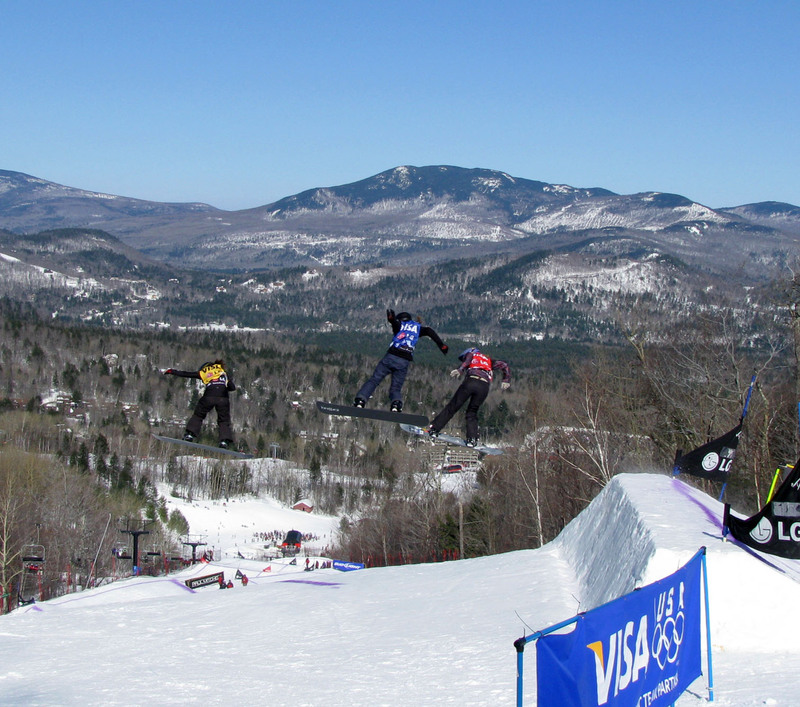 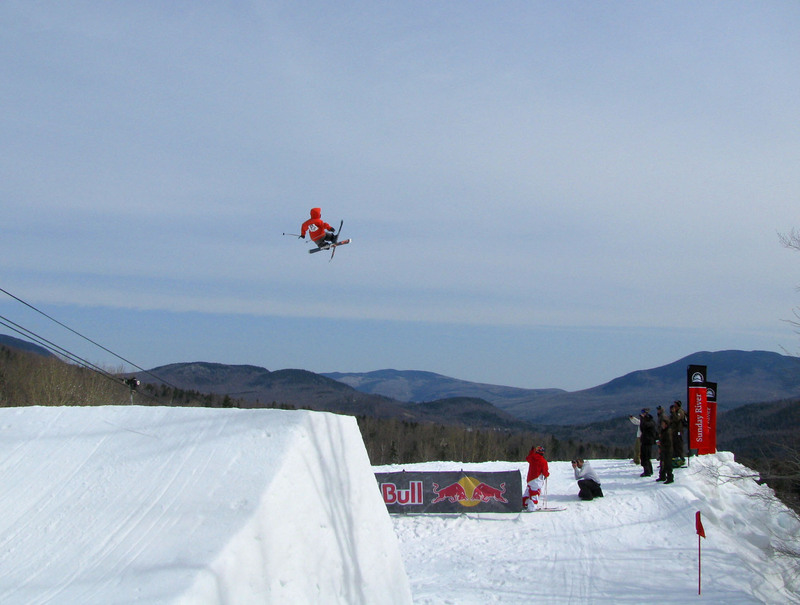 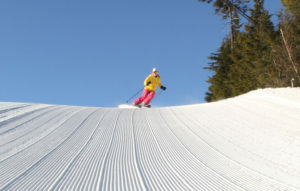 Sunday River is big, New England’s 3rd largest ski resort with 870-acres. 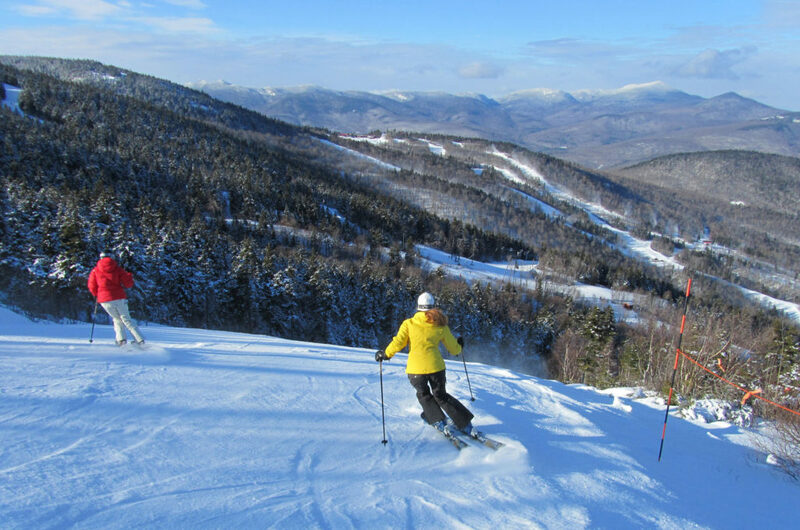 Skiing at Sunday River spans eight interconnected peaks, with big broad groomed boulevards, sauntering scenic trails, moguls, parks, wide spaced birch glades and a few gritty steep trails too. 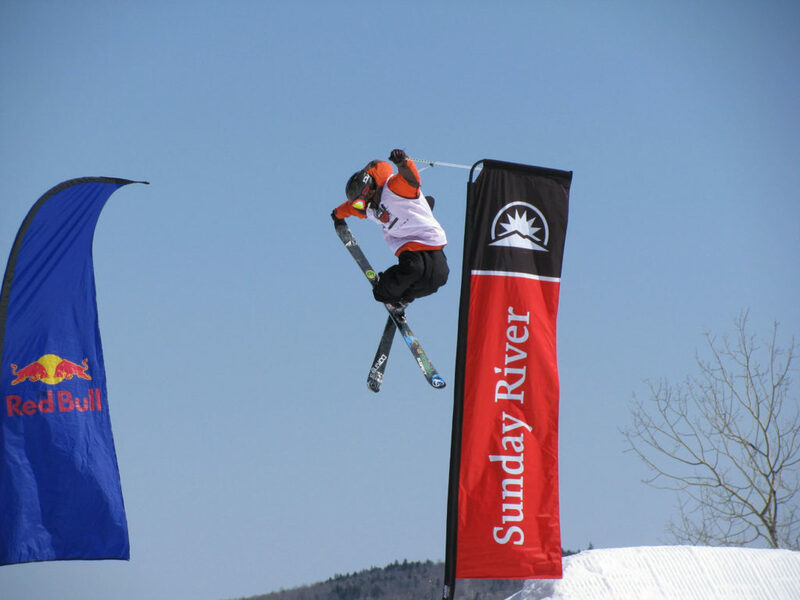 Sunday River snow is legendary. 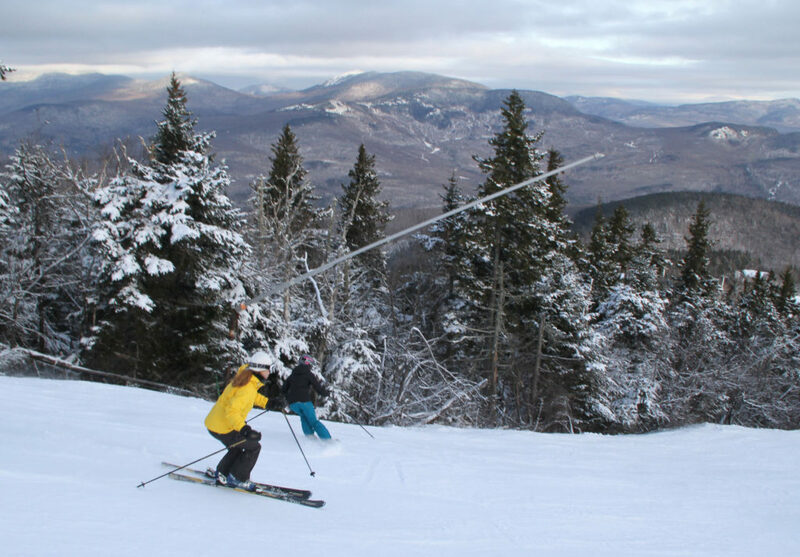 With 92% of terrain covered with snowmaking, and an arsenal of 1,900 guns, Sunday River has some of the most reliable skiing, and snow conditions, in the East. 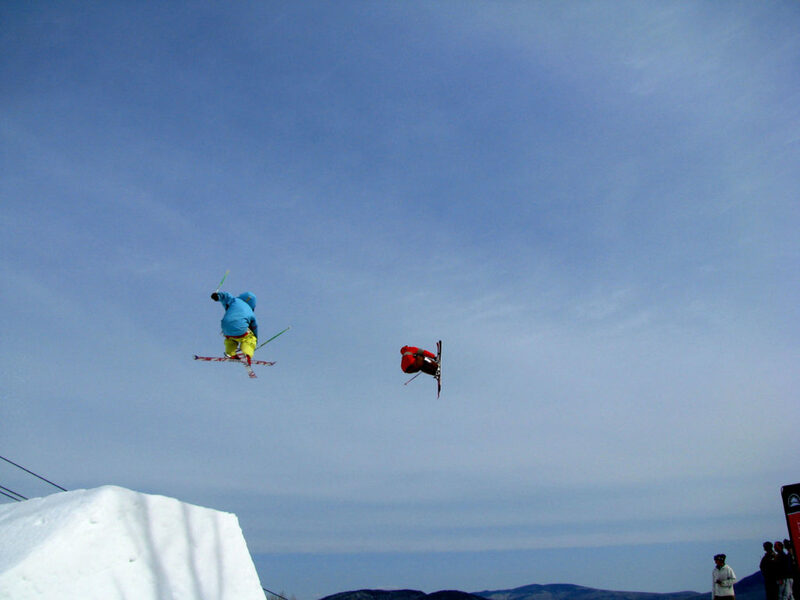 Super long ski season. 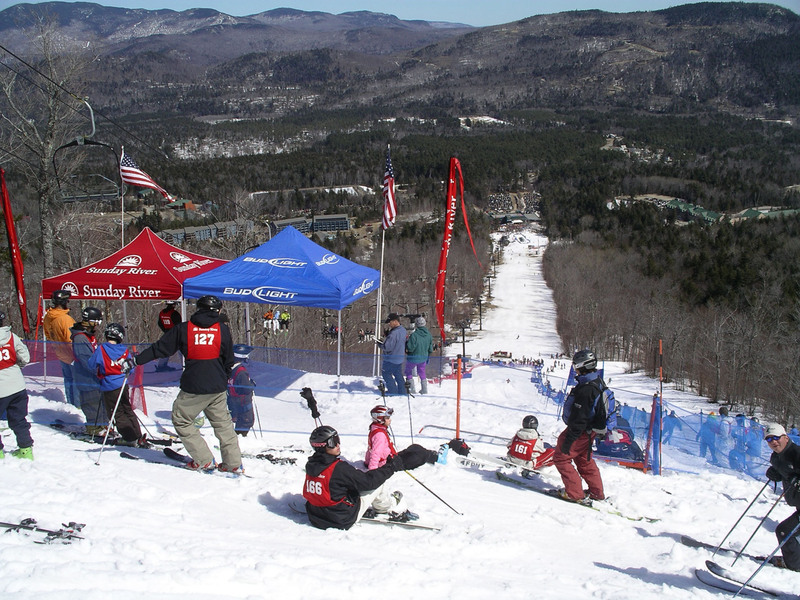 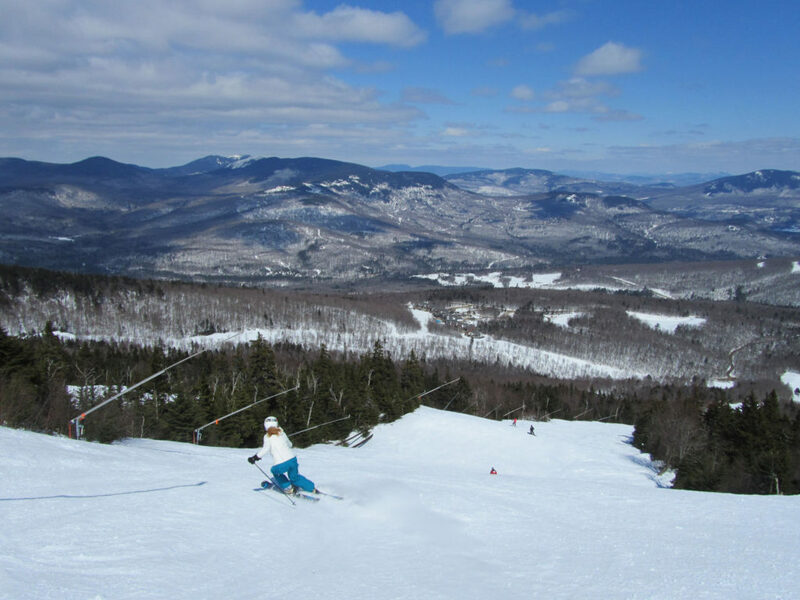 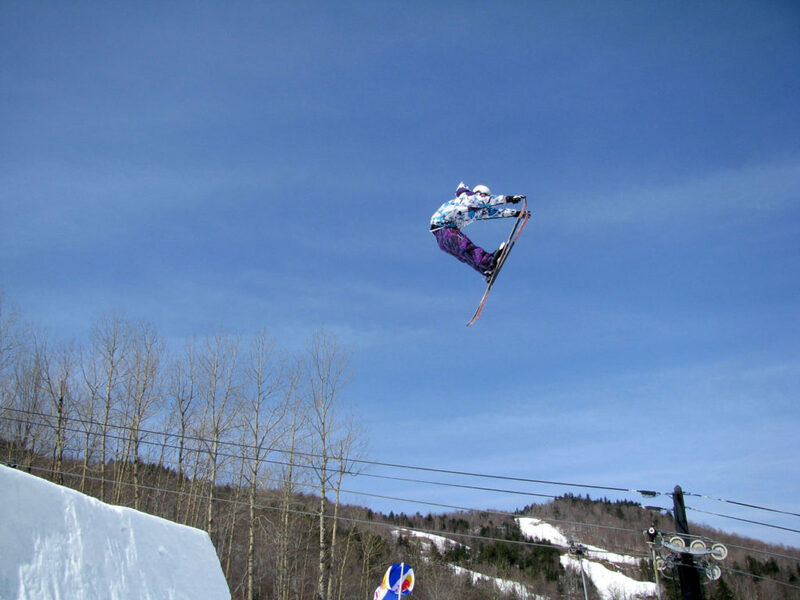 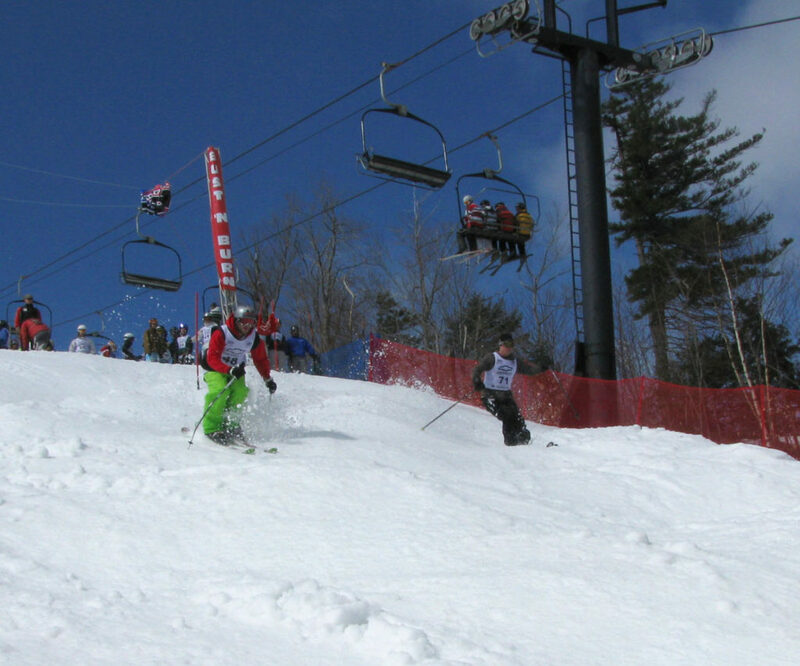 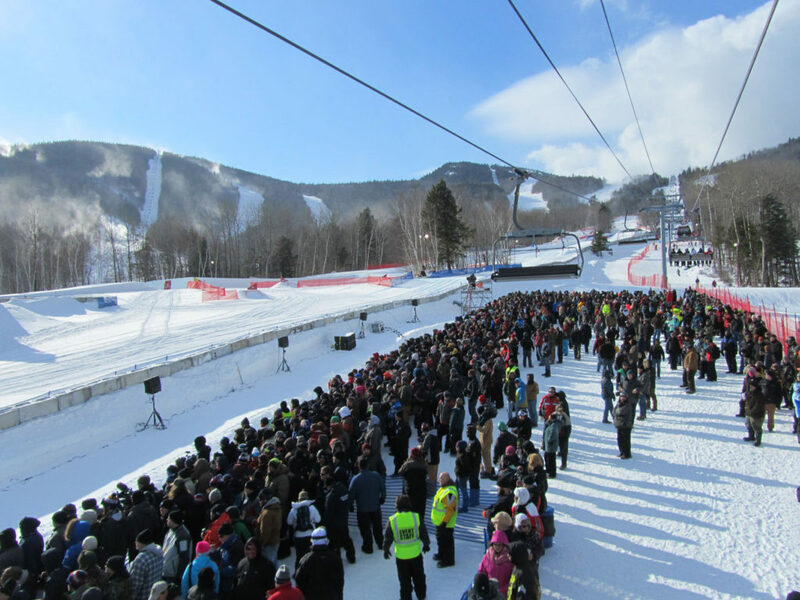 Sunday River typically wins or ties the race of first to open for skiing in New England, with Vermont rival Killington Resort. 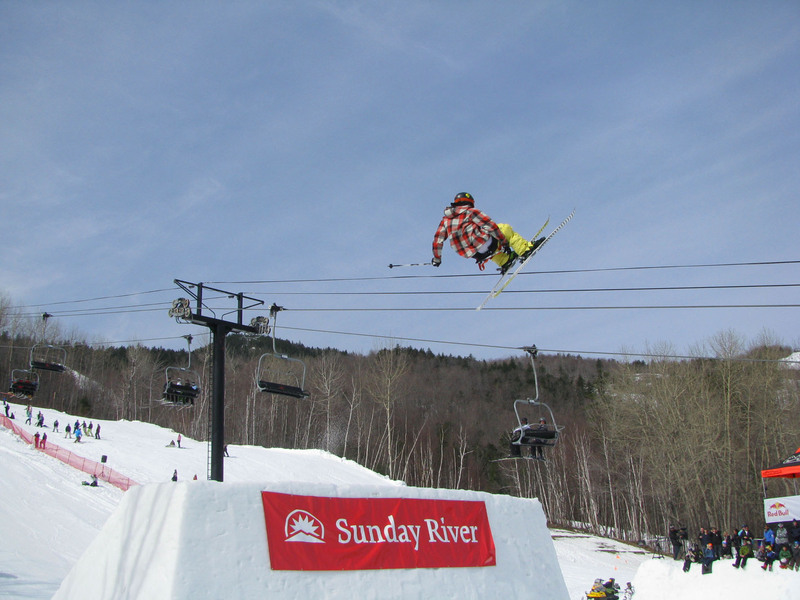 Sunday River is usually open by Halloween in October, sometimes with free skiing on Halloween in costume. 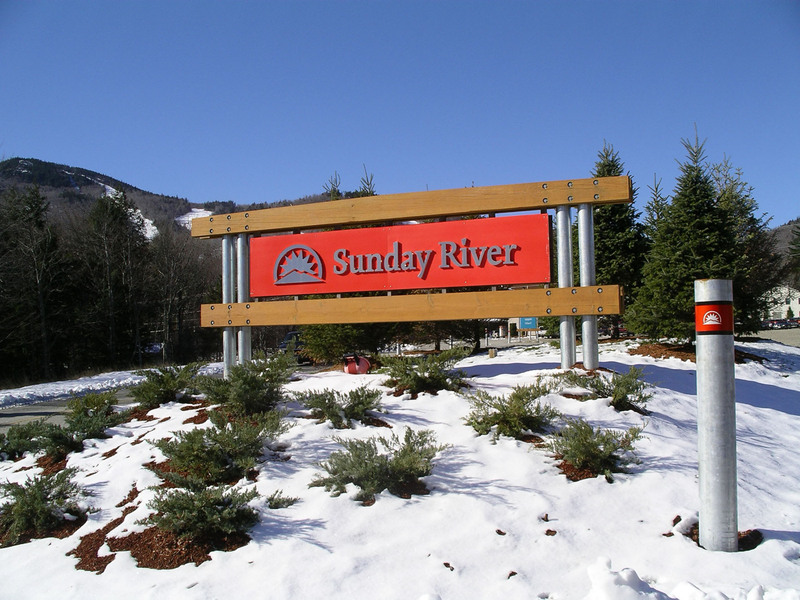 And the River, local code for their beloved ski resort, stay open till may, with free skiing the last day its open in May, called Ski Maynia! 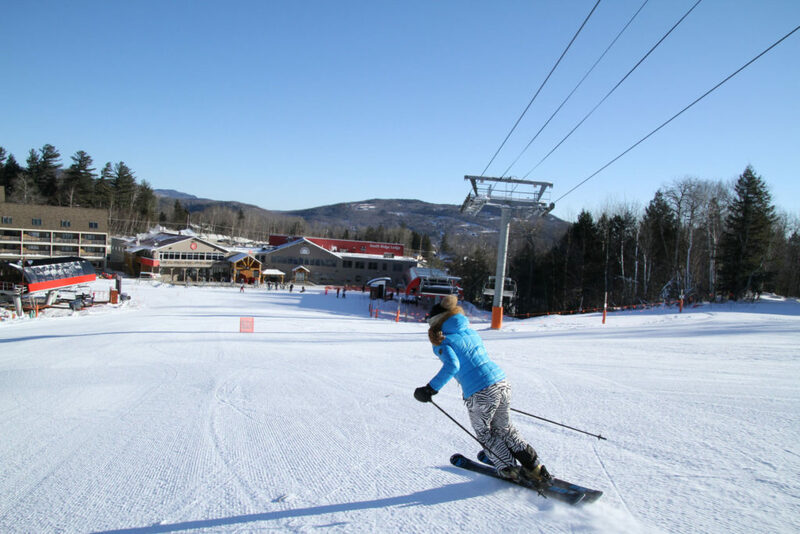 Sunday River has the best groomers, a modern fleet and skilled snow groomers in each cat. 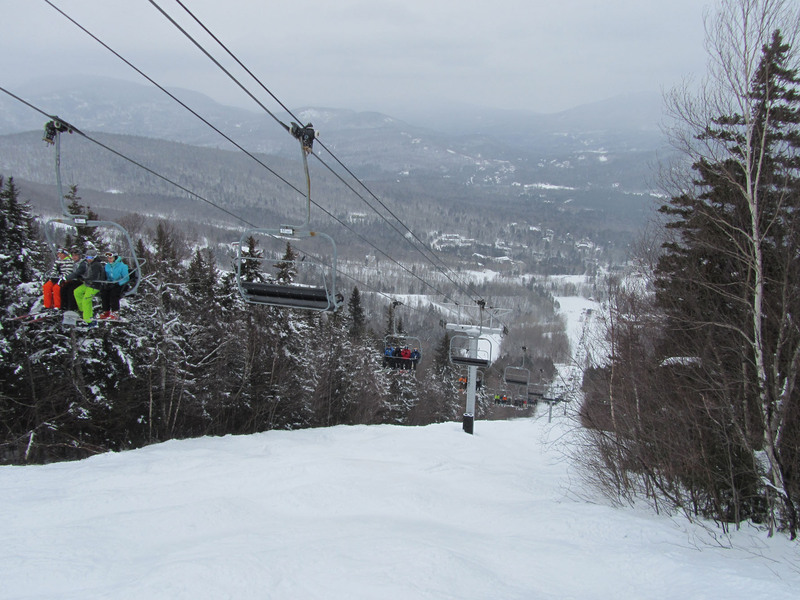 Sunday River’s cord is seamless and soft, especially first chair up. 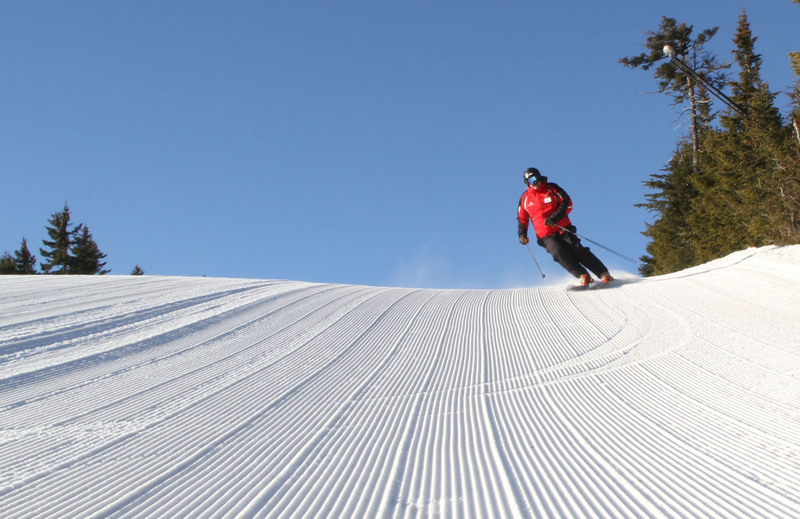 Often the morning skier sis treated to a layer of sparkling fresh blown snow on top of corduroy – ski heaven. 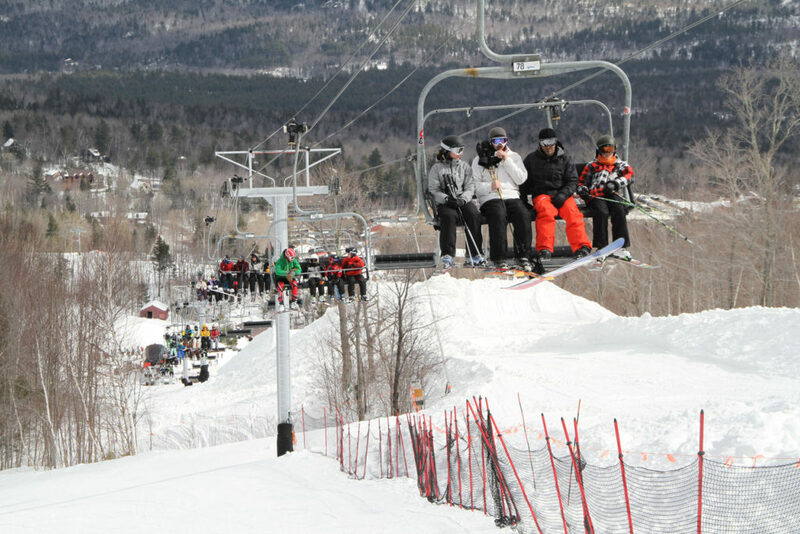 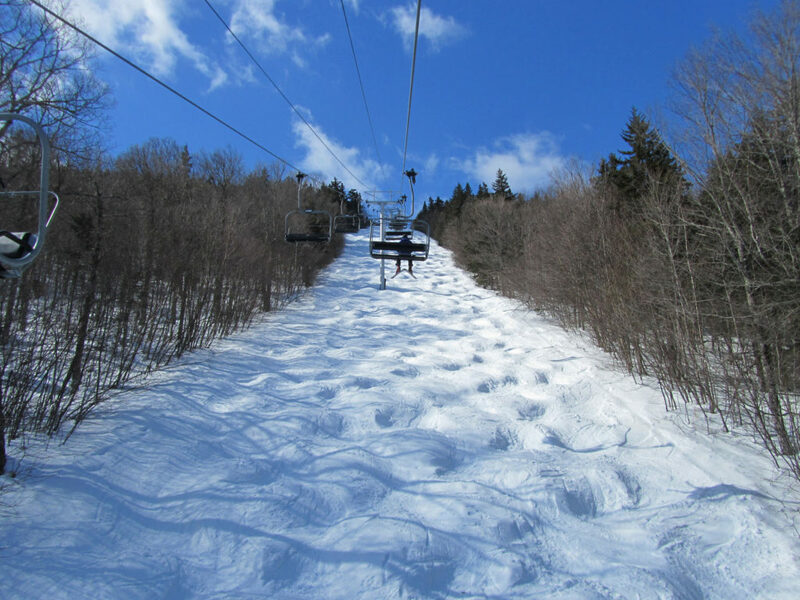 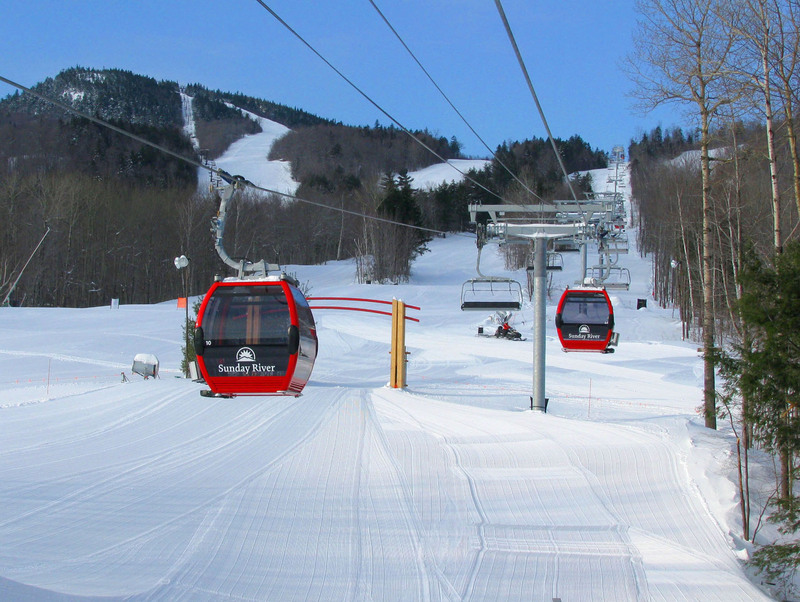 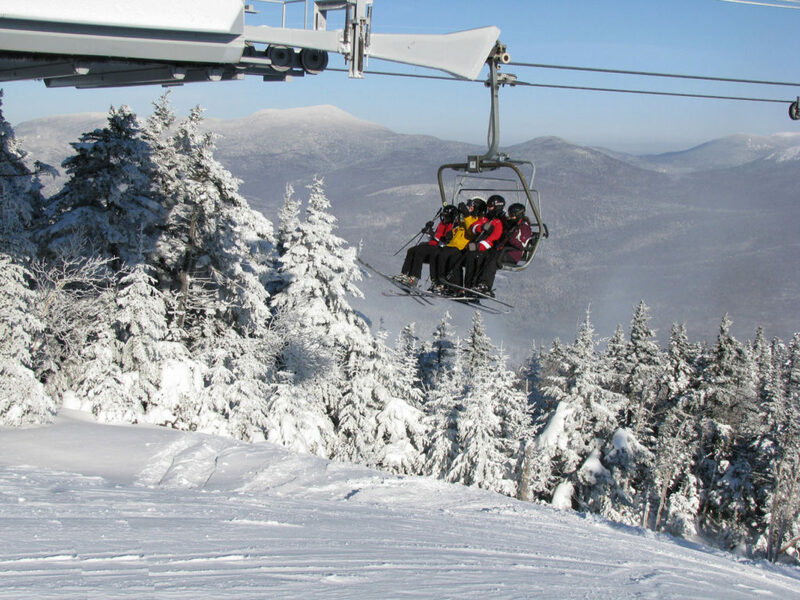 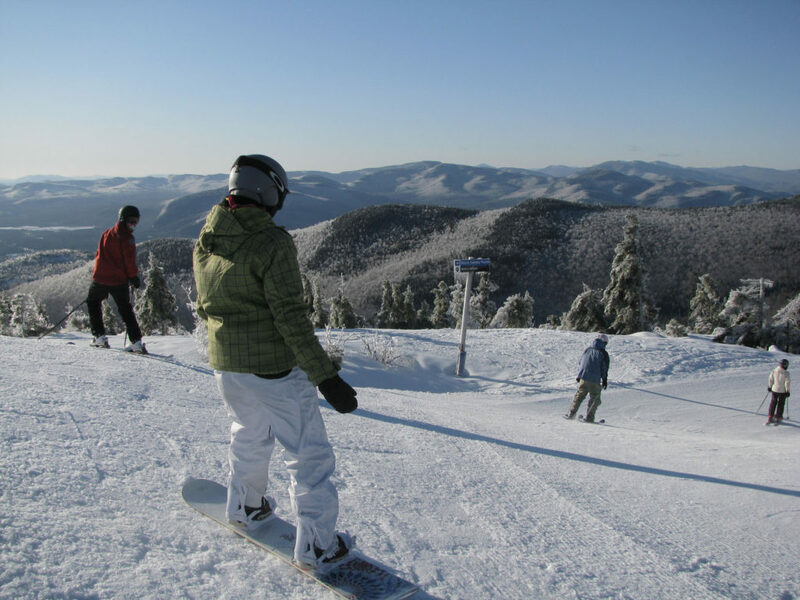 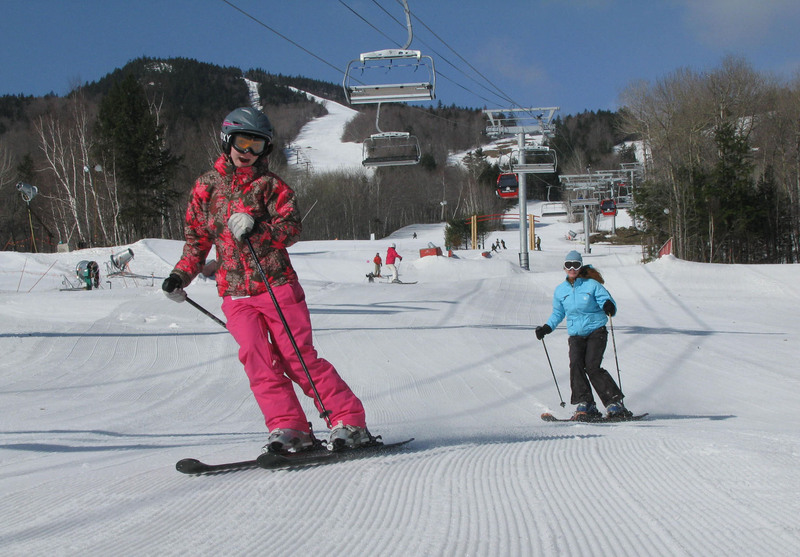 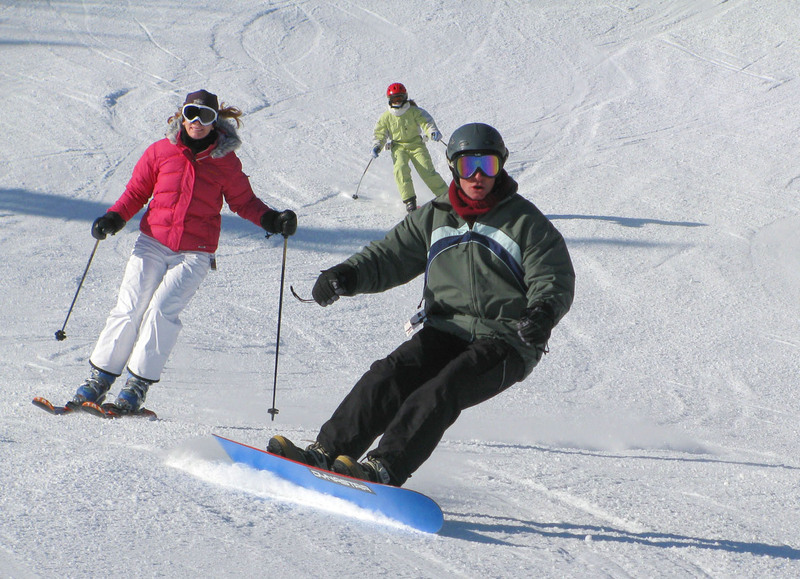 Sunday River is three miles across from East to West, served by 15 modern lifts. 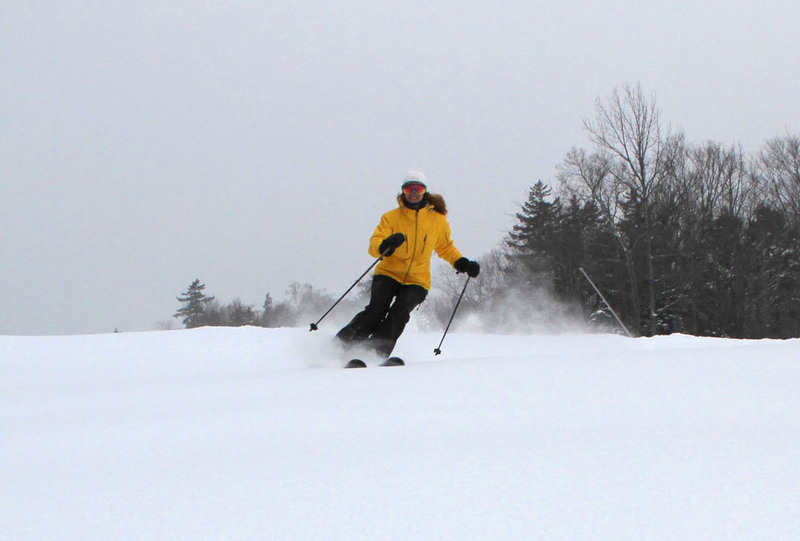 You can ski all day and never hit the same trail twice. 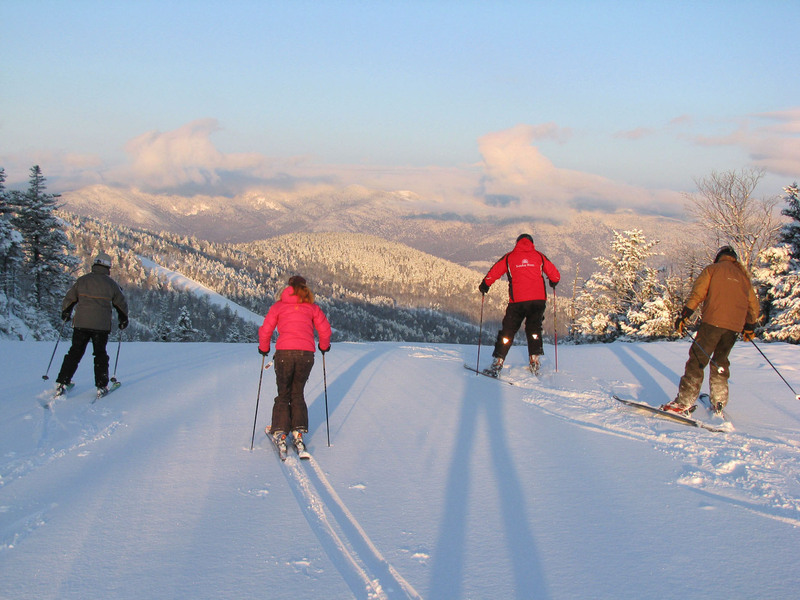 Kids will love the children’s programs, and meeting mascots Eddy The Yeti and Betty – abominable snow people that love to ski and mingle with families. 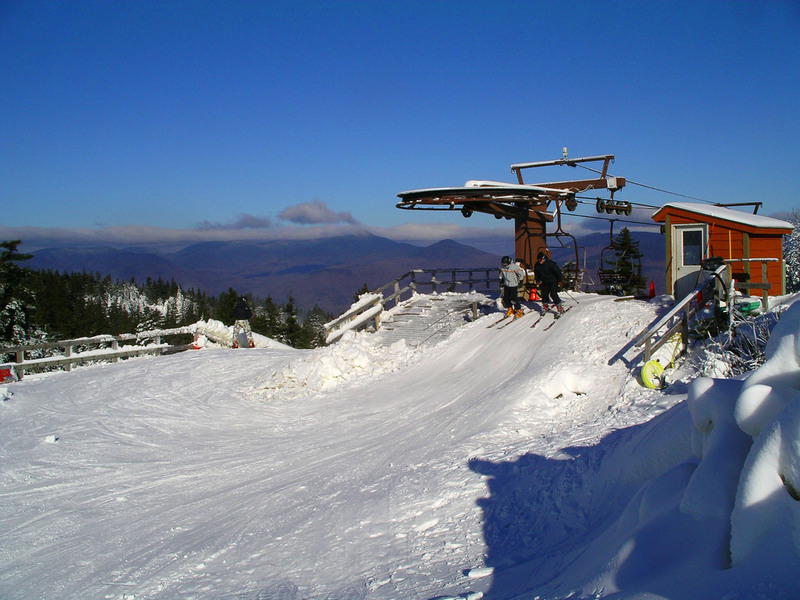 The Chondola is among the coolest ski lifts in The East. 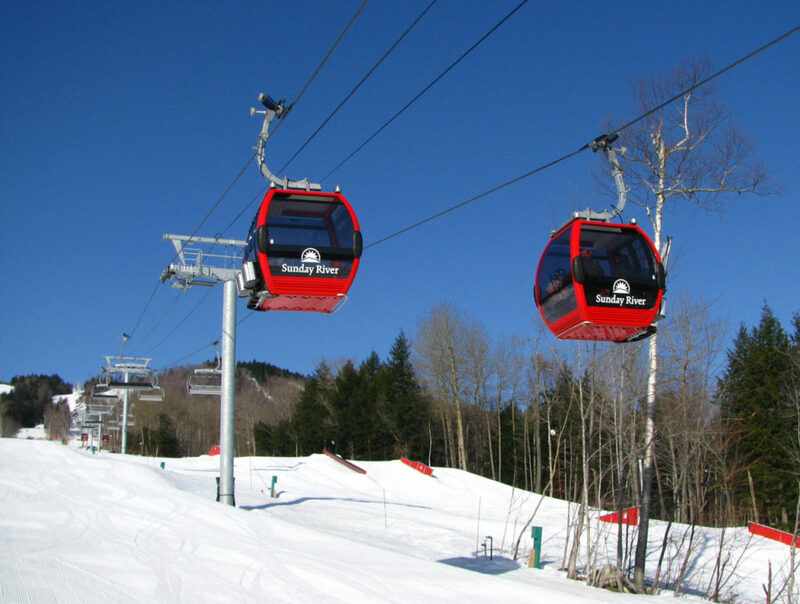 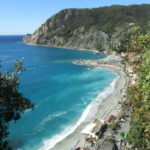 It a hybrid six pack chair and gondola… the likes of which you see in the Alps of Europe. 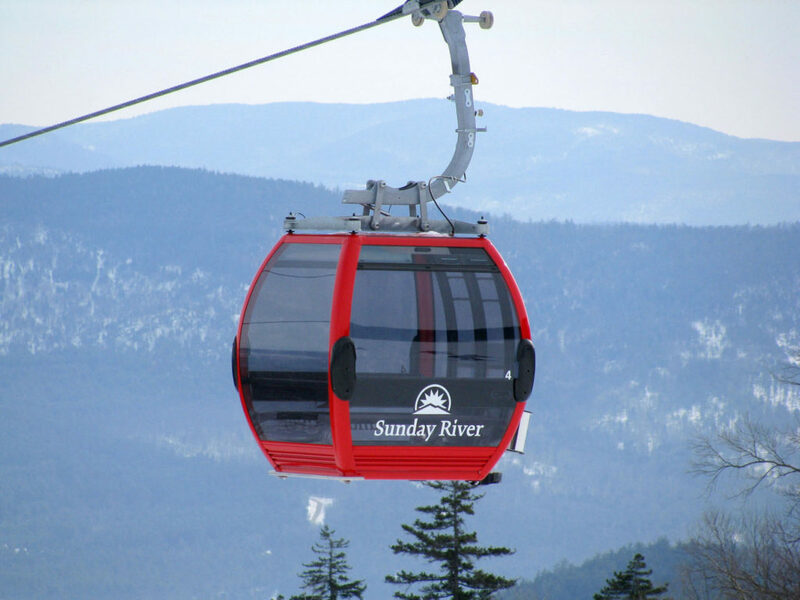 Take you pick from the protected gondola cabin from South Ridge or the couch size swift outdoor 6 pack chair. 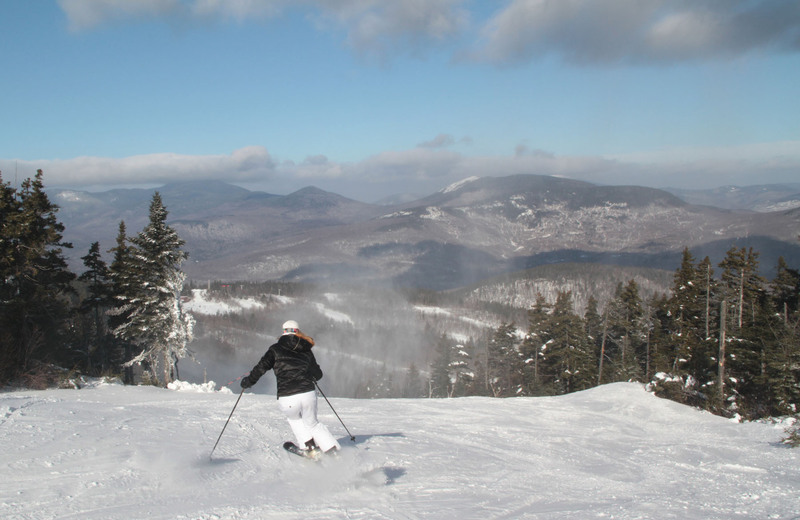 Either will get you there – fresh air or a warm up to Sunday River’s North Peak. 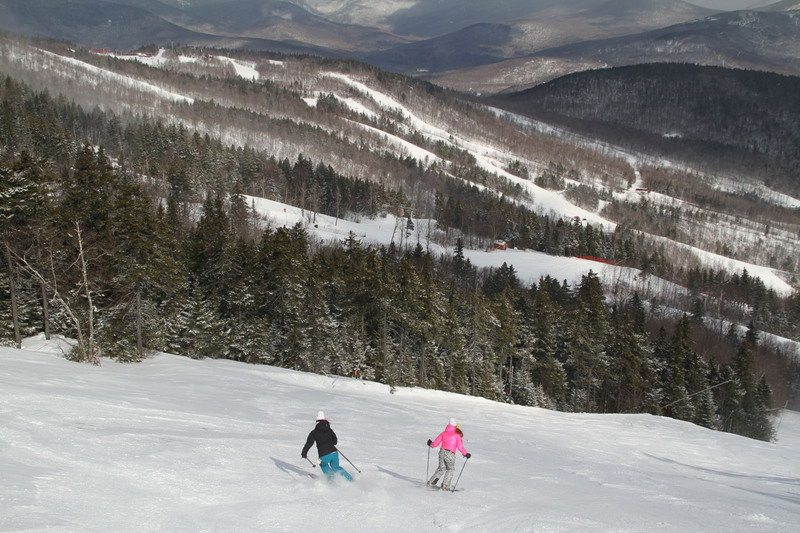 Sunday River is home to lots of quads. 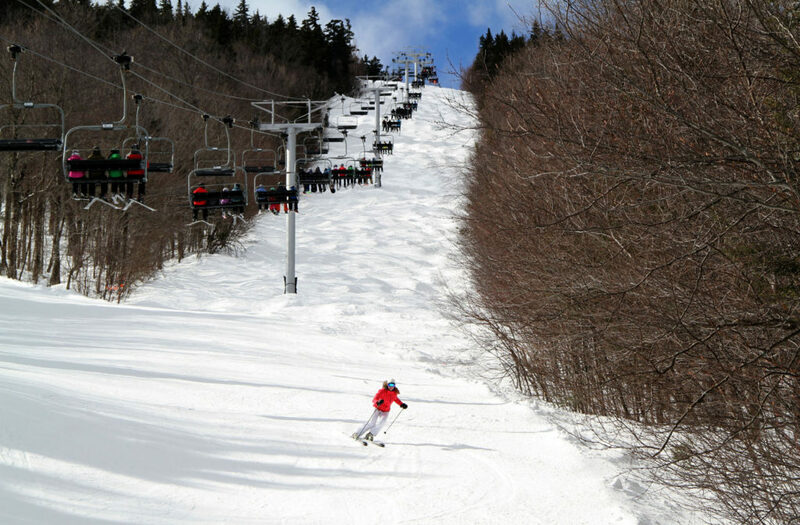 Sunday River’s summit elevation is 3,150′, not towering, but that makes for more moderate weather. The River doesn’t get the big winds, biting cold, and wind holds like other higher elevation ski resort… namely sister Sugarloaf. You still get 1,500- 2,000’ vert on most runs. 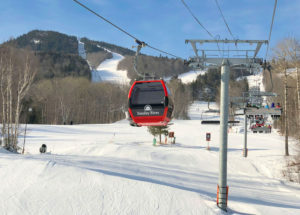 Ride each lift and take a few runs at each of the 8 ski peaks, White Cap and Tempest, Locke to Barker, Spruce Peak, and North Peak, then Aurora and Jordan Bowl furthest west. 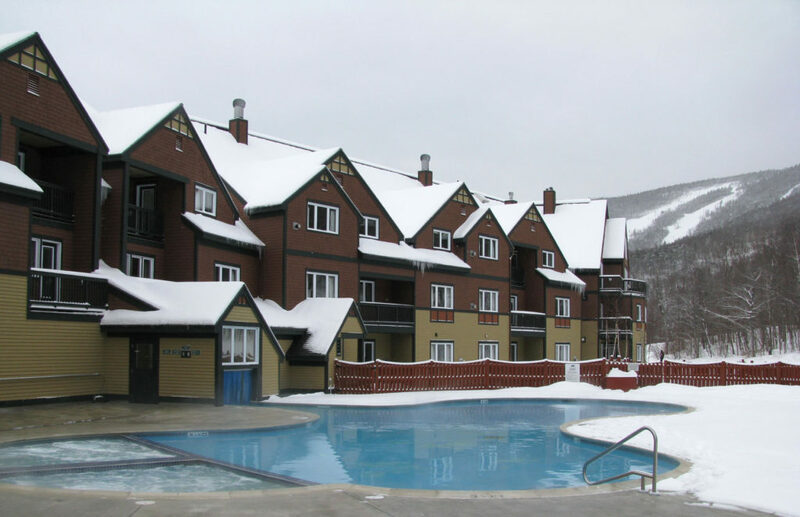 Sunday River’s lodging is suite…literally. 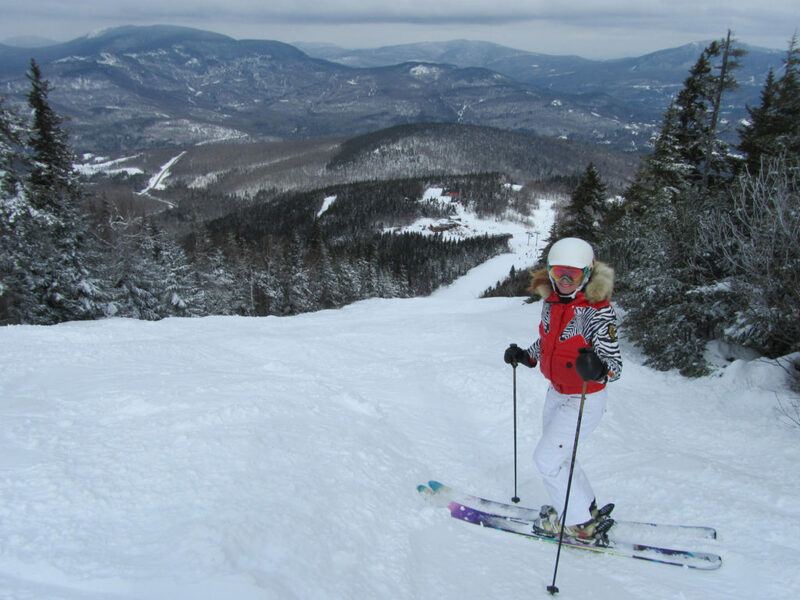 Stay slope-side at either end of the resort in a Summit Hotel, they’re not uber fancy – but the location and mountain theme are ideal. 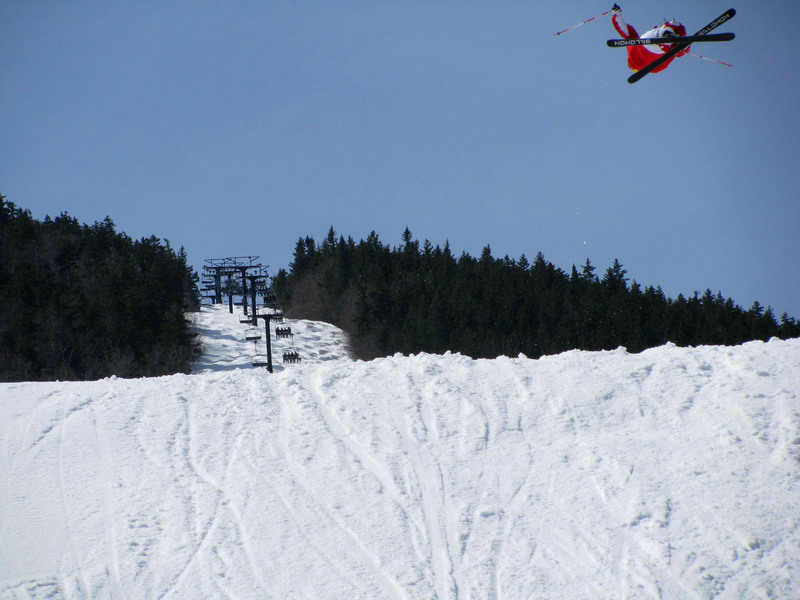 We prefer the Grand Summit near White Heat and Barker lifts versus the more remote Jordan Grand Hotel. 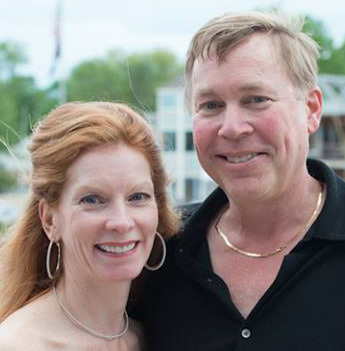 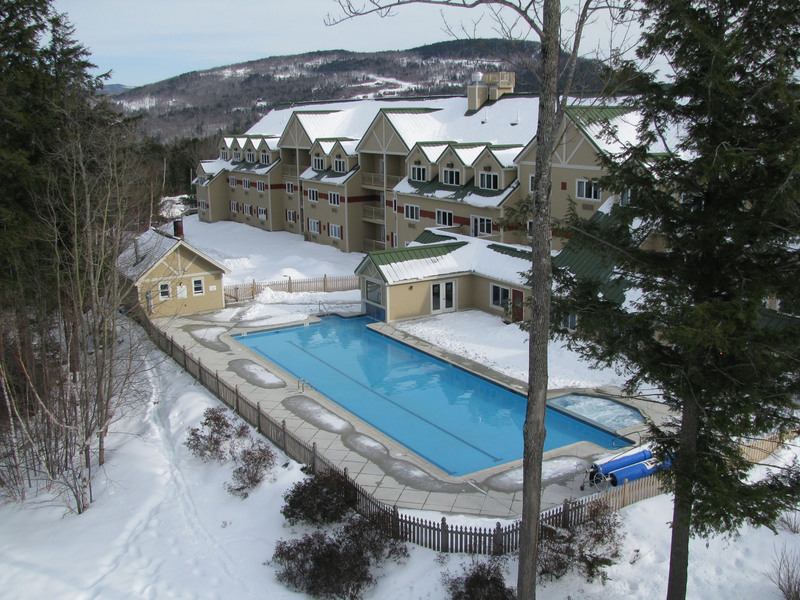 Highlights to both hotels are Valet, one and two bedroom suites with kitchens and space, huge outdoor heated pools and Jacuzzis, ski check, a spa, restaurants and shops in the hotel – our fave – Camp at the Summit has great Maine ambiance and delicious local food. 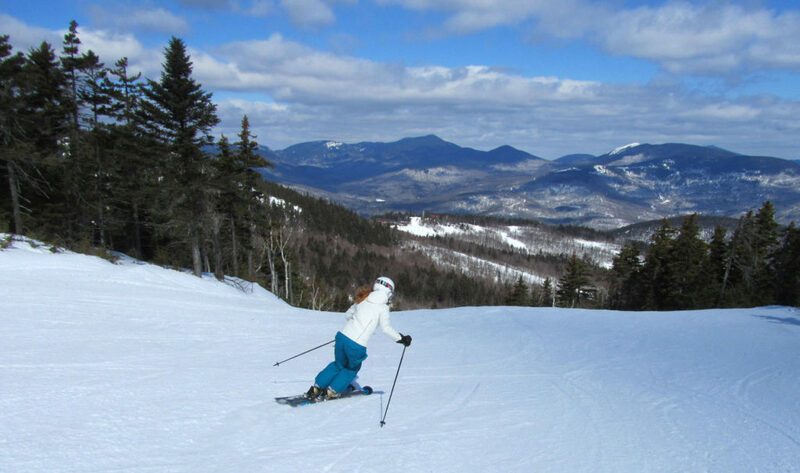 The Grand Summit at Sunday River makes our Top Ski Hotels in The East list! 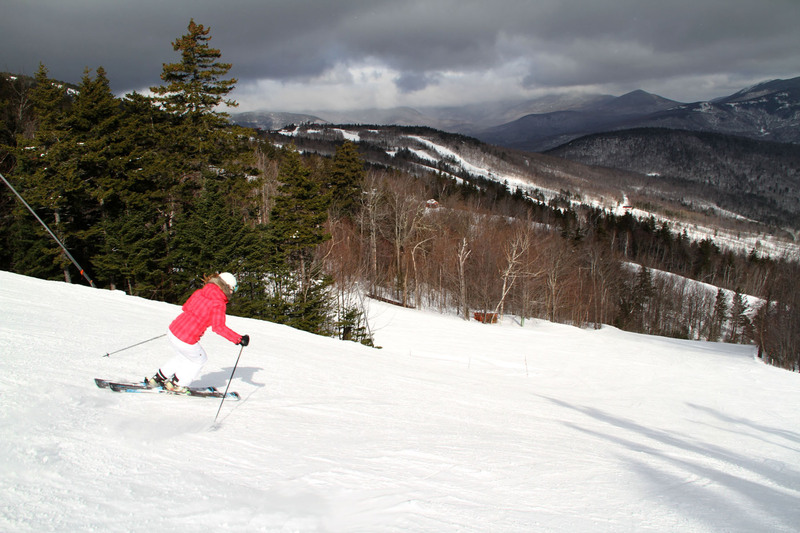 On mountain food at Sunday River is casual, fun and yum. For a mid-morning snack, ski to North Peak Lodge around 10am (after 10 runs) when their homemade sticky buns warm and fresh from the oven, best with a hot cocoa or coffee and a view of the ski slopes. 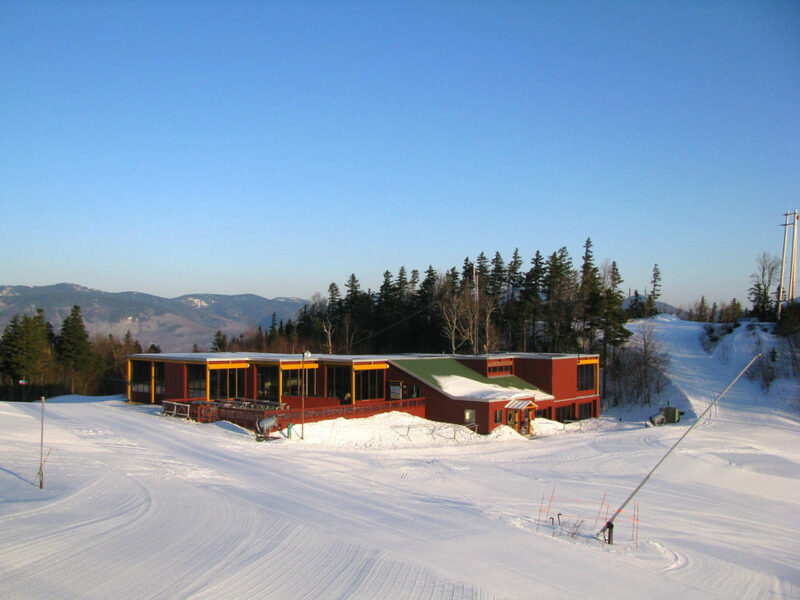 For lunch the charcuterie and local cheeses at the Mountain Room at North peak Lodge is great- same Chef Harding as the Rooms in Portland. 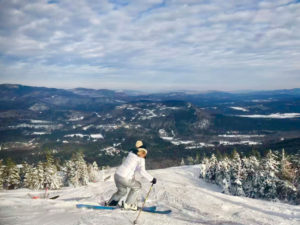 For a ski in ski out lunch with table service and a view, go to the Foggy Goggle at South Ridge – one of the best après ski bars around, or Sliders if you are over at Jordan Bowl. 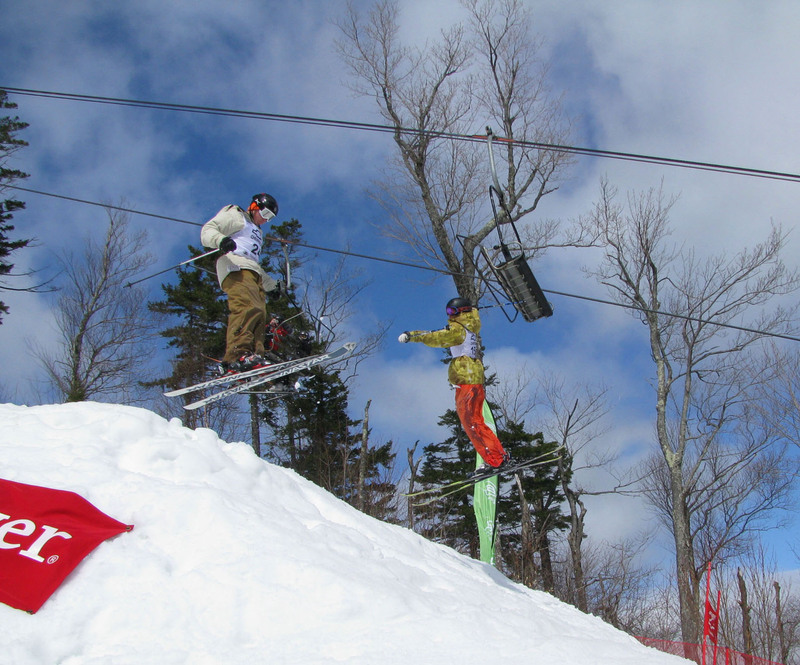 Après ski at Sunday River, The Foggy Goggle rocks with live bands on weekends as does the Matterhorn Ski Bar just down the Sunday River access road.